As we sit at our computers or scroll through on tablets or smart phones, perhaps we picture the opposite of our current locales—mountainous terrain, soaring evergreens, and a variety of critters that depend on each other to maintain balanced ecosystems. Maybe thoughts of flora and fauna, untamed and unexposed to an otherwise modern, industrialized, human-centric world swirl around. Tim Billo wants to expand your ideas about wilderness. 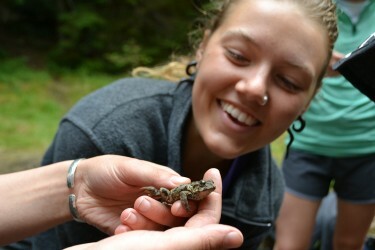 Every summer, he leads a class with the College’s Program on the Environment that encourages a multidisciplinary group of students to explore their own perceptions of wild places—literally and figuratively. 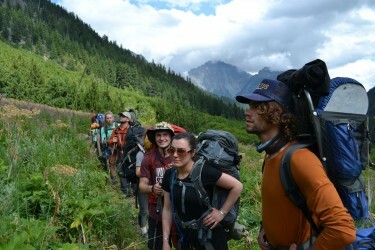 Billo and his students leave the city behind, both its comforts and distractions, to traverse 50 miles and gain 19,000 feet of vertical distance over nine days in Washington’s rugged Olympic National Park. The course uses our local wilderness as a lens to see the changes that have occurred since the last ice age and over the last 150 years of European settlement and industrialization. 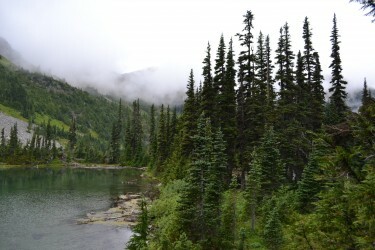 This year’s group saw evidence that cold weather plants are inching up mountainsides in search of cooler climes and compared historical photos of glaciers in the Olympics to what they were seeing in present day (in 1980, there were 262 glaciers in the Olympic Mountains; now there are 184), among other things. Beyond observing the physical and biological changes to the landscape, the course creates an environment ripe for dialogue about where we’re headed during this critical time in the anthropocene—a geologic timeframe when human activity, for the first time, is impacting all aspects of the natural world and its processes. Students discuss questions like, what is the value of wild places and does human recreation have a place there? Are we responsible for preserving remaining wilderness areas? If human activities impact wild landscapes, should we take steps to mitigate? And if mitigation requires, for example, helicopter overflights, widespread culling of non-native species, or other impactful management techniques, is it possible to do so without denigrating what wilderness stands for? Having spent little time in the wilderness, Shane Kelly, an Environmental Studies major from a small Illinois town on the Mississippi River, always thought wilderness was important for wildlife—not people. His thoughts on that have changed since taking the course. 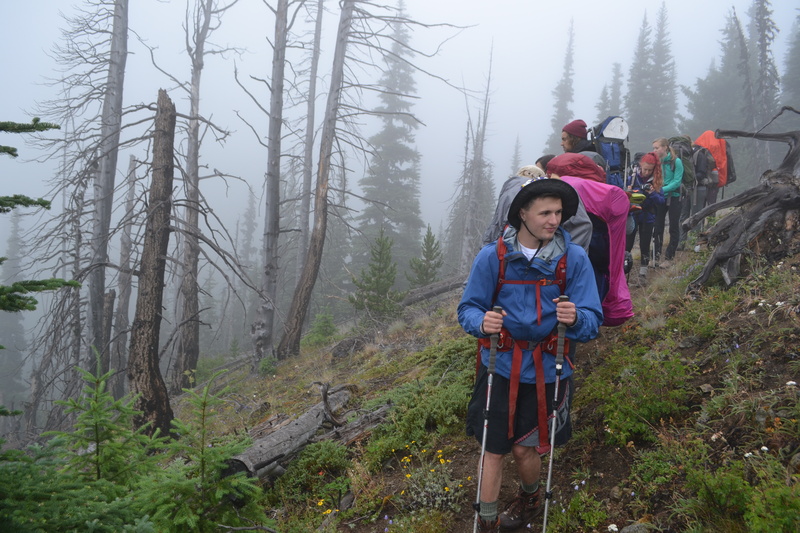 “The physicality of the hike and the sights, sounds, and lessons learned along the way bring the group together and are a great primer for a deep, but respectful conversation about building a more sustainable society,” Billo said. For Billo and his students, the Olympic National Park is an ideal place to think about what it means that only about five percent of the entire United States—an area slightly larger than the state of California—is protected wilderness (and more than half of that is in Alaska). Wild landscapes, Billo says, are the last place modern humans can experience what life might have been like prior to the anthropocene. “When we started, I didn’t know my cardinal directions. By the end of the trip, I could always tell which way I was headed. Being able to climb a peak and look back on the mountains, ridges, and valleys we had covered is unlike anything I’ve ever experienced,” Kelly said. For more details about the course and a day-by-day account from the students themselves, visit the class blog. To check out more photos from the 2015 class, check out this Facebook photo album from the College of the Environment.